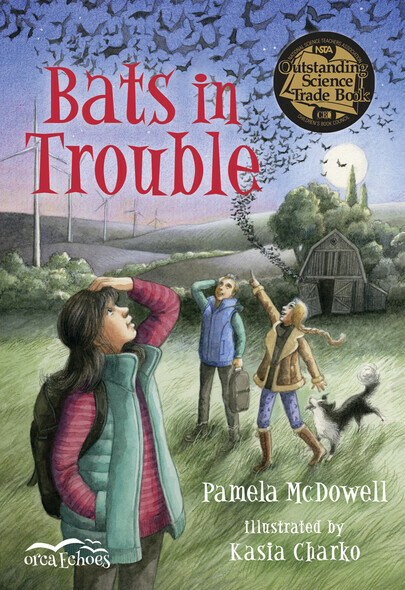 Cricket McKay and her best friend, Shilo, are enjoying the last few weeks of summer vacation when they discover that something is killing bats around Grandpa McKay's farm. Could the new wind turbines be the cause? The kids do some detective work and then jump into action coming up with a plan to save the bats. Bats in Trouble is the third book featuring animal-activist Cricket MacKay, following Ospreys in Danger and Salamander Rescue.